Earlier this week, a long-time commenter named Carlos (aka CharlieBoy) mentioned that he paid off his mortgage early. Having done the same thing myself, I was intrigued, so I sent him a note asking for details. Within a few hours, Carlos sent a lengthy reply with tons of details. Today, I’ll be summarizing his story. “My wife and I purchased our house in the fall of 2008 for $300, 000. I believe the interest rate was 6%. We used the equity from our old house to pay off three small auto loans and to make a 35% down payment on our new house. The big down payment made it easy for us to refinance it two times since 2008 because we were never under water. We didn’t want to buy a huge house with a huge mortgage. We decided not to let the bank or agent tell us how much house we could afford. WE did the math, WE knew our budget; therefore, WE decided how much we were comfortable paying each month. We found a house that works well for us within our budget. “Just a few weeks after we bought the house in 2008, we refinanced our mortgage into a 5%, 15-year loan. To make up for the larger monthly payment of a 15-year mortgage, we had to make some budget cuts. It wasn’t too hard because we no longer had car payments. We don’t go to regular restaurants, and we rarely go to movie theaters. Last December, we refinanced it again at 3.75%. That was our Christmas gift to ourselves. That lowered our monthly payment once again, but the thought of spending the next 15 years slaving away for a mortgage company continued to bother me every day, we started saving even more to pay it down faster. Okay, they refinanced to more agreeable terms, scraped up additional money for extra mortgage payments, etc. But still, how so fast? “The extra payments towards the principal were making a huge difference, but then something else happened. In April, I changed jobs, which meant I had to decide what I wanted to do with my 401(k). I kept going back and fourth between cashing it out to pay off my mortgage or just rolling it over to an IRA. Yikes. Cashing out a retirement account early results in a hefty tax bill plus 10% early distribution penalty. Ouch. So why did he do it? Well, he went on to argue that, due to our country’s massive deficits and the political mess that has developed over the past few years, the investment outlook in this country just isn’t that good, and he’s not expecting anywhere near historic returns for the foreseeable future. Given an expectation of low returns, he could justify taking the hit to get out from under his mortgage. This is a pretty extreme view, and Carlos is well aware of that. After all, he explicitly states that he doesn’t necessarily recommend this course of action to others. But it was the right decision for him. Having paid off a mortgage myself, I can say with certainty that it does free up a lot of cash and provide a lot of flexibility. That being said, trading your 401(k) for a mortgage-free life isn’t a decision to be made lightly. Given that contributions to retirement accounts are capped on an annual basis, Carlos will have to work extra hard to rebuild his retirement nest egg. Sure, he’ll be able to pour money into a tax-efficient (but taxable) portfolio to complement the money he’s able to stash in retirement accounts, but he’s lost a bunch of tax-advantaged space (not to mention the 10% penalty) that he can’t easily re-gain. So… What do you think? Is Carlos crazy for cashing out his 401(k)? Or crazy like a fox? As much as I disagree with the decision to liquidate his 401(k), I have a feeling that Carlos is going to be just fine in the long run. There were some other minor strategies to the mortgage payoff along the way, like throwing tax refunds at the debt. The big strategies that ultimately did it for us though were increasing our household income, creating an income producing side hustle and selling investments. We could not have done any of those however, without some discipline to take care of the more basic financial needs first. Good choice no mortgage =means no interest = less money needed for retirement. I’ve been contemplating this very thing for the past 3 years and EVERYONE keeps telling me that I’m crazy. I’m 44 years old and my wife is 42. We’ve lived in our house for the past 19 years and have 8 years left to pay on it. We live as frugally as possible, have no other debt except for the mortgage, and still struggle to survive as our salaries are in the lower end of the middle class sector. With two daughters to support and even with our frugal spending habits, the only way that we’ve been able to stay relatively debt free is because I do side work on weekends and that’s helped tremendously. The problem is that I’ve done that for the past 17 years and I’m getting sick of it! For the past 11 years I’ve contributed 15% of my weekly paycheck to my 401K and frankly I’m disappointed with the results. I lost 30% of it back in ’08 and while it’s come back somewhat, it’s tough to gauge how far it’s come back because I’ve continued to contribute to it during the great recession. If I cash it out, it wouldn’t be enough to pay off the mortgage but it would put us down within a year and a half to get it paid off. That means that it would be paid off when I’m 45-1/2 and then I can start to save for retirement on my terms and NOT the governmnent’s terms. The rules keep changing in the middle of the game and the middle class is getting squeezed more and more than any generation in history. The tax rates are absurd! The penalty hit is substantial. Also, prepare to pay a penalty for underpaying taxes. I did it, and it was expensive. Mention that to your CPA. The federal government is destroying us all. 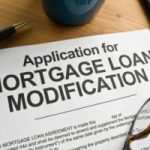 I had a 15 year mortgage that I paid off in 8 years. It is an amazing feeling. My husband just got fired after 22 years on the job. He is 55 and can avoid the 10% tax of early withdrawl. we are leaning twords cashing his out, paying off the mortgage and would still have enough left over to pay the tax bill for the 401k withdrawl. We already have as much again in my 401 which will remain untouched…what do you think…. Congrats to all of you that strive to pay off your mortages! You didn’t meet any of the safe harbor requirements to be exempt from penalties? The example is in 2010 so ignore the date and just think back one year. You did not have a tax liability in 2009: If you didn’t owe taxes a year ago, then you won’t be penalized for underpayment this year. If you owe this year, this opens you up to potential underpayment penalties when you file next year if you underpay two years in a row. Your underpayment is less than $1,000: If you owe $5,000 and you paid $4,001 throughout the year through withholding and estimated payments, then you’re safe. You paid within 90% of your actual liability: If you owed $100,000 for 2009 and you made payments throughout the year that amounted to more than $90,001, then you’re safe. Through withholding and estimated payments, you paid more than 100% of your 2009 tax liability ($110% if your AGI is greater than $150,000): If you owed $5,000 in income taxes in 2009 and you owe $50,000 for 2010, as long as you paid more than $5,000 in 2010 (and made all your required estimated tax payments) then you will be safe from penalties. Jay, the penalty is VERY steep, especially when it jacks up your tax bracket. I was amazed at how expensive it was for me to file my taxes for last year. So, whatever your CPA tells you, save thousands more to file income taxes next year. Better safe than sorry! When you withdraw your 401K to pay off your mortgage, that counts as INCOME, and it’s taxable. So, because your income for the year goes up substantially, it triggers an extra penalty for underpayment (even though I changed my exemptions to 0 to help out). Take the figure that your CPA gives you, add a certain percentage to it and save it for taxes and penalties next year. I don’t recommend doing what I did, but I confess that I WOULD DO IT AGAIN. The freedom that I now experience, and how much less I need to survive now, are worth it to me. See, because I can invest my mortgage money now, it’s only April and I already have enough money saved to max out my ROTH IRA for the year. I was fed up with working for my mortgage company. If you have a 401K invested in a stock index fund, and also have a mortgage, you are gambling that the stocks will return more than the mortgage is costing. It worked for my parents generation. Last I checked, that was not guaranteed to work for my generation. So I’m sitting here piling up cash waiting for house prices to stop falling every week. If this keeps up, I won’t need any mortgage to buy my house! What’s the fuss over the 401K withdrawal penalty? When I funded my 401K, I was single and in the 28% tax bracket (the 1990’s under Clinton). Now I’m in the 15% tax bracket. So even with a 10% withdrawal penalty, I’m ahead 3% (28 – (15+10)). I think I’ll grab the money while it is still favorable to do so. Just paid off $338k mortgage 1.5 weeks ago. Of course market takes off right after I did this, but have no regrets. Best comment I’ve heard for analysis – if you had no mortgage, would you take out equity loan and throw it into the market? I doubt it. There’s so many people out there in their 50s and 60s still with a mortgage and sweating it – not worth it. I’m 35, had the benefit of killing it for a couple years in the real estate boom (consulting background) but now income’s leveled off and likely won’t hit those peaks again for quite a while. Still have a comfortable cash cushion for immediate needs and investment opportunities as they arise (I prefer foreclosure properties for $100k or less, then renting out at $1500/month – pretty easy calculation, slow way to get rich). I live in NH. One thing I would say – don’t pay off your house if you think there’s a possibility of neighborhood/town/city going to crap (ie Detroit). Good luck with your decision(s). Good for u Carlos, Bill we did the same, under buying,then paid off early. Made the same mistakes as others though, had cc debt. Learned then became debt free. It is heaven on earth! Later went into debt again and started a business. It was scary but it turned out to be a great decision. Income rose big,could not do that with 401k. During this time husband still working and contributing to 401k and I paid off business debt and saved every penny I could. just when I was about to hire someone the gov comets and taken away, demoralized but kept trudging along (thank god I saved). kept saving and now enough to finally get out of neighbor that went super downhill. Bought very nice house with 20% down, and having 1 year living expense saved. Ops forgot, gov cometh. Keep saving, hopefully this house will help reduce tax bite but looking into what I can do legally of course. anyway, my point being is that being debt free, there is no words to explain how good it feels. Watched others panic when company layer off but I was ready. By being debt free I was able to start a profitable business, save 3 x as much as hubby saved in 20 yrs in 401,live a better lifestyle, pay cash And! I am going back there. Goal is to payoff in within 18 months it was hard but worth it and I am going back! Jay, first, sorry to hear about your company’s decision to cut back on bonuses. Paying my mortgage off has been a huge relief. I am grateful everyday for no longer being a slave to a mortgage company. What a huge relief it has been in my life. The peace of mind of knowing that I need much less to survive now is priceless. What a joy. People can do the math all they want with their tax advantages of having a mortgage, but paying thousands in interest in order to get a deduction has never made sense to me. Keeping a huge monthly obligation in order to get tax deduction is crazy, sorry. Having said that, cashing out your 401(K) like I did in order to pay your mortgage off must be carefully considered. I lost a lot of sleep going over the decision, and I talked to some of my closest friends. In the end, being mortgage free meant more to me. I will never regret it. @Carlos & Bill, we did the same thing for the same reasons taking five years. We finish this month. November 21 2002 and the book Currency Wars by James Ricards. Bill has said it all: Massive debt and socialism. What kind of future do we have????? I agree, I’m doing the same thing, except I’m 60 years old and won’t take that penalty hit. I believe our country is in trouble, and not sure if we can recover from the massive debt the US has coupled with our weak leadership. I also see many Americans favoring socialism. I’m personally paying off everything & hoping for the best. In 2003 my wife and I found the next house we wanted to live in. It needed some repairs but had all the primary attributes we wanted. We had managed to save for the 20% down and took out a 280k loan to purchase the 350k house. We then put the home we had been living in for sale. When our first home sold we realized a 120k profit, which we rolled into the house during our first refinance. The new loan was for 160k on a 30 year term. The 30 year term gave us enough extra cash each month to pay on the â€œbarrel headâ€ all the needed repairs. In 2004, after completing the home repairs, we refinanced with a 20 year mortgage. During the refinance we paid the mortgage down another 20k with savings we had managed to set aside. In 2008, we paid the house off with a final check of 50kâ€¦the house had been improved to our satisfaction in 2006 so we simply socked the money away for a rainy day which we applied to the house. Iâ€™m sure many people will ask: You had lots of cash to pay-down the loan so what is the big deal? Well, we had no credit card debt, student loans, or cars loans; nothing besides the mortgage loan in 2003â€¦We managed to be in that position by WAY under buying our first home. Our income literally qualified us for a house three times as expensiveâ€¦we could have afforded to live in our current home prior to 2003 (In a B+ California area) but choose to live in our first home out of the gate (in a C California area). In short, buy living WELL under our means we got to the end game almost 20 years soonerâ€¦I have friends who make the SAME income and have another 20-30 years to go on their mortgage in the same area…. Congratulations on paying off your mortgage. My wife and I are about a three years away from doing so, but my plans to enter PA school may derail that slightly. 😉 Best of luck to you. It’s something I have to pay, like everybody else. 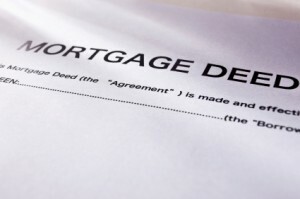 When I had my mortgage, it was included with the monthly (escrow) payments, but now I am glad to manage that myself. I am saving $100 each paycheck in an online savings account to cover property taxes and home insurance. The difference now is that I get a little bit of interest on the money. For the first time in my life, I get paid more interest than I pay. @Carlos: Mortgage aside, I’m curious about how you view property taxes. Mortgage aside, you still have to fork that cash over. Sluggish economy for 10 years? What is going to take is a change in attitude, he says. Instead of saying we can have everything today, we need to begin to think differently about saving for the future. I believe him. Our debt is not getting repaid. We are maxed out!!! Pedro, I jumped back on the retirement savings exactly two weeks after I paid off my mortgage. I am investing the same mortgage money. My budget has not changed; it is as tight as ever. The only difference is that now I am also saving a little bit for my kids’ college, while before I sent my mortgage payments and was immediately broke. Also, now I need a lot less to survive, which means my emergency fund doesn’t have to be as large. I will have enough emergency fund to last me two years without work. That was just impossible before. Paying off the mortgage certainly helps in more than one way. Being mortgage free seems like an impossible goal for most people today. 28% of mortgages are underwater, so the thought of being mortgage free is absolutely far fetched. I started my path to freedom by buying half of the house the bank told me I qualified for, then I gave 30% down. Freedom requires control. Here’s a new change in my life after I paid off the mortgage: My two kids NOW have a college fund. Great job! We are older, but this is exactly what we have done. We have about $10,000 left and we will be mortgage free. Debt free!Most people just don’t have vision enough to believe they could be mortgage free. A little tightening of the belt has been well worth it! GREAT to pay off the mortgage. Major misstep to cash out your 401k to do it. However, there are WAY worse problems to have than that. Glad you caught a break with the market downturn, but you need (although I didn’t catch your age) to jump back on the retirement savings thing with both feet – don’t let your newly increased cash flow make you crazy. We will pay off our house next week; we bought it 19 years ago. I am all atingle with pleasant anticipation. As above, I am hoping our newly increased cash flow does not make US crazy. Note: I took a 10% penalty hit to cash out my 401(K), but the stock market is 12% down from the day I got out of the market completely. People act like I cashed out my 401(K) to go on an expensive vacation or to waste on a boat or something. I did it because I think investing in a 3.75% mortgage will not be too bad if the stock market happens to average 4% in the next couple of decades. The mutual funds in my 401(K) are incapable of beating or even matching the market anyway. The refinance I did shortly after my mortgage close was because the interest rates happened to sink that fast. (I wished I had waited to buy my house today, but that’s how it goes.) It was a critical time when the housing market/economy was going down. I sold my old house at the top of the housing market. The buyers paid more than it was appraised for. We closed it, bad news starting pouring in about the economy, we quickly refinanced for 1% less. The numbers made sense, and I was able to refinance with the same bank without increasing my balance. Also, I agree that the mortgage deduction may not even exist in the future. It doesn’t exist in many countries. I’ve read this year that it may go away as the federal government will have to increase tax revenues to deal with its ever-increasing debt. What a great story! My blog is all about paying off my mortgage by age 30, so I can relate. I have a few points in response to some of the comments. 1) Mortgage interest tax deducation: Can we put this one to rest? 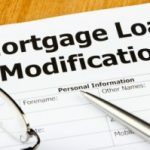 This deducation, which may go away in the future, is no reason to keep a mortgage! That argument doesn’t meet the common sense test. 2) Refinancing: I’ll admit. 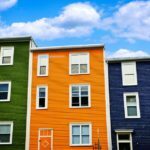 I’m confused by the first refinance you did, one month after. The second one makes total sense. But at the end of the day, you have no mortgage. You reached your goal. 3) 401k: I recently withdrew a few thousand dollars from my retirement and my readers went wild. Watch TV everyone. The economy isn’t doing well now and it’s not showing signs of a full recovery for at least 5 more years. Now is the time to pay off debts and stash cash if you have it — including in retirement savings. He chose to pay off a debt. As long as he’s relatively young and continues to save, I don’t think it’s going to be a bad move in the long run. It sounds like he’s financially conscious. This wasn’t a reckless move. 4) Retirement savings in general: The comments the pro-stock market people leave are very interesting. They advocate staying in debt, while putting money in the a risky stock market that’s currently spiraling downward. My grandmother hates the stock market. She had a pension, though. But most of her money was made in real estate. She bought cheap, on the water, then sold later. And she lives frugally. Her mortgages are paid off. What happens in the stock market doesn’t really affect her. She’s bringing in 75K a year, in retirement, with expenses similar to a college student. What’s my point? Let’s not argue that you NEED the stock market to retire. You NEED to manage your money well and save, but it doesn’t have to be in stocks. Seriously, #16 Jonathan, what is up with you and your wife? You didn’t tell her you paid off the house??? I assume you give her an allowance. She Nickel’s topic today What happens if you die? In the end, it’s about getting rid of the biggest financial obligation we have so we can go on with life. I am now re-working my budget (I have been introduced to mint.com). Because I was used to making two mortgage payments a month ($1,305 x 2), $2,610 is being reallocated. First, the $1,305 mortgage payment included escrow (property taxes + insurance). Now the same $185 will be put in a special, separate online savings account so I can pay property taxes and insurance. I am used to paying escrow without getting a penny in interest, so that’s that will be a nice change. Second, my savings will be going up substantially from now on. I will be getting a $1,000, 2% CD every other Friday for a while. I’ll decide what I will be doing besides my 401(K), and after I have enough savings to survive at least a year (I’ll aim for two) without working if needed. I could live on so much less now if needed. Like I said before, I can’t stop smiling. Call it a dumb decision. All I know is that it feels amazing. People do get caught up in the “wonders” of the tax deduction. I bet the average home owner has little idea of how much less income tax they pay after the mortgage interest deduction. They hear about it, so they think it must be a great thing. It’s a deduction from the total taxable income, not a subtraction from the total tax owed. A tax deduction does not mean it’s free. I remember one person saying this to me in the past when we were talking about something else that was tax deductible, “…it’s tax deductible, so it’s basically free.” WTF? That is so clueless I was speechless. Yes, and Obama is about “hope” too. A mortgage is a debt people, wake up. And, in my opinion, it’s only a good debt if you are the CEO of the bailed-out bank making $1.5M a year plus bonuses. The rest of us peasants buy one house but pay for two. Expect mortgage interest deductions to shrink overtime. The vultures have voted to increase our debt ceiling. We will pay for it! To make a big dent in the total federal income taxes paid, I would have to pay a lot in mortgage interest, which would be a painful mistake to begin with. I am glad that my interest rate of 3.75% was so low that it didn’t really make a dent in my federal taxes. Just thinking about keeping a gigantic debt in order to get a small deduction in income tax makes me want to weep. To each his own. Regardless, peace of mind is worth a lot more to me. well said in your recent comment. I am glad that you’re happy with your decision. So many get caught up with the whole tax deduction issue… it blows my mind. i’ll get back to this later. I wanted to apply real numbers and real calculations to this conversation, so that people can not just imagine what the impact was.. they will see it. lets say you have a mortgage for $250,000. amortized over 30 years at a 5% interest rate. lets act like the minimum payment of $1,342 (principle and interest) was made every month for the first 3 years… you would have paid a total of about $49,650 in payments. wow! thats a lot of money! guess how much you still owe on your mortgage??? well… you still owe $238,012. so out of that $49,000, only about $12,000 actually went toward principal… the rest (about $38,000) went ahead and lined the pockets of your bank…. OMG… that was only 3 years. over the course of the loan, had you never refinanced, and continued to pay the regular payment, you would have paid $483,165. that would be a total of $233,165 paid out to interest only. pretty sickening huh?? To make matters worse, the average american family will refinance on average every 7 years. If your not catchin’ what i’m layin’ down, that means that the amortization schedule will reset back to Month 1. This creates a incredibly profitable situation for your bank, and a very bad situation for you. you’ll never make any headway, you’ll be stuck at ground zero for decades. keep in mind that this is the average american family, this is real, its everyday. anyway, lets get back to the non-issue of the mortgage interest tax deduction debate… oh yeah its a non-issue… moving on. i’ll end this with saying, dont do what someone tells you to do just because they are your best friend, college professor, parents, someone you really look up to and think is the smartest guy in the world, a finacial advisor, or your husband/wife. Take bits and pieces of what you learn and put them together for yourself. I have heard a finacial advisor say, (cue whiny voice) “oh god, dont pay off your mortgage! your mortgage interest is the last tax deduction for the average american houshold!”. That idea had been burned into his brain. Ask yourself.. By who? way to go carlos! keep us updated, This is an interesting topic. I apologize in advance for grammar/ punctuation/ spelling errors, i’m doing like 4 other things right now. It’s hard to feel remorse when I am now living my dream of a mortgage-free life. It’s too sweet no matter how I do the math. We have been conditioned to think that’s it a good investment to buy one house and pay for for almost two. When people compare their mortgage interest with the stock market, they look at the 7% that the stock market has returned in the past. So, if your mortgage interest is lower, they assume it makes sense to keep their mortgage and invest in the stock market. But that was in the PAST. Had you invested in the S&P 500 index religiously every month starting a decade ago, you would have no growth to show for. After expenses, you would be lucky to have your principal. Inflation would have gobbled up your dividends. Most mutual funds perform even worse than that as they can’t even match the S&P 500 index. And, like I’ve said before, Warren Buffet has said that investors can expect 4% annual return this CENTURY. My mortgage is 3.75%, not a big difference. And, if it happens to return 7%, great, I will be putting money into my 401(K) starting in January anyway. I’ll be investing some money in the stock market for the next 20 years. Outside my 401(K), I don’t expect to invest in the stock market at all. As for the tax deduction issue, mine is not very much. I’ll know the details when I do my taxes, then I’ll come here and share the real numbers. What was killing me wasn’t the actual interest!!! It’s like buying a brand-new Mercedes at 0% interest rate. Who can’t afford a new Mercedes at 0%? I can’t. It won’t be the interest payments that will kill you; it’s the monthly payments. What I hated with a PASSION was having that substantial financial obligation month after month for years to come at any rate. And a LITTLE annual inflation will make the mortgage payments easier overtime, but I expect more than just a little inflation. Like I said before, the only way out of our debt situation is hyper inflation and much larger tax bills. Italy is just increasing their sales tax to 21%. (I guess they want to make sure the middle class has no purchasing power.) There is no other way out. Under hyper inflation, paying mortgage will be even harder because there will be nothing left after we buy the essentials to survive. MY BACKGROUND: I was in Brazil in 1988 with almost 1,000% inflation that year. The money that I had saved for a few years was only enough to buy me a book (a dictionary) in December of 1988. I had literally a bag of currency, and all I was able to buy was one dictionary. (I have horror stories about living under hyper inflation. Paying mortgage won’t be easier when you have nothing left to cover it) If you had my background, you would be doing the math differently, and you would get desperate to pay off your mortgage too. But dream on, look the other way while Obama pours another 300 (printed/borrowed) billion dollars into the drain. He has the audacity to call it “relief.” I call it time bomb. It’s hard to feel remorse when I am now living my dream of a mortgage-free life. It’s too sweet no matter how you do the math. We have been brainwashed (and banks like that) to think that’s it a good investment to buy one house and pay for for almost two. Only in our culture of debt it is considered dumb to get out of debt. And, like I’ve said before, Warren Buffet has said that investors can expect 4% annual return this CENTURY. My mortgage is 3.75%, not a big difference. And, if it happens to return 7%, great, I will be putting money into my 401(K) starting in January. Sure, a LITTLE annual inflation will make the mortgage payments easier overtime, but I expect more than just a little inflation. Like I said before, the only way out of our debt situation is hyper inflation and much larger tax bills. Italy is just increasing their sales tax to 21%. (I guess they want to make sure the middle class has no purchasing power.) There is no other way out. Under hyper inflation, paying mortgage will be even harder because there will be nothing left after we buy the essentials to survive. I can’t say I like the idea of cashing out the 401K but paying interest on my mortgages has always made me crazy. Keep in mind, you buy a house for $250K, you’ll be paying $400K (off the cuff estimate) for it. And depending on your situation, the mortgage credit is not that valuable. OTOH, real estate is low in most parts of the country and this may be a good time to buy but it is a terrible time to sell so if Carlos intends to hold on to the house for a long time, it should work for him. In fact, he might invest in rental properties. My understanding is the tax advantages are very nice. But I think Glen brings up a good point. You need to do the math for your particular circumstances to see if the mortgage interest deduction is all that you think it is. At some point in the latter stage of the mortgage, it may be better to take the standard deduction as mortgage interest paid diminishes. But at my current salary and current property, it is worth it for me to itemize. When I retire with less income in about 5 years hopefully (and I will still have my mortgage), I will need to relook at the impact of taking itemized deductions versus standard deduction. Glen: Regarding actual taxes saved on mortgage interest deductions. You have to look at all the deductions. For example for myself, my state income taxes and real estate property tax deductions alone for 2010 were over the $5800 single standard deduction. I had about $5000 in state taxes and $2500 in property tax. Value of property is about $250K. All of my mortgage interest deduction of about $6500 counted in saving me taxes. $6500 x 0.25 tax bracket = $1625. This is 6 years into my mortgage. I think that Carlos had a great idea paying off the mortgage asap, but dipping into the 401k was way too impulsive. Being long term minded is key to financial success. If doing this was his planned goal years ago, maybe more funds would have been directed to the loan instead of the 401k. Or look at it this way, if he continued to aggressively pay down the house and a true emergency appeared, the 401k is still available. This decision could have been delayed, but not undone. financial decisions are best made by never going to any extreme. like putting all your money in a single stock; cashing out the 401k 100% and putting it all into the house is dumb. it’s not diversified. he now has all his money in his illiquid house. no money left in his 401k. not diversified. and just increased his risk by putting everything into the (likely still declining) housing marketing. 1) he claims stocks will probably not do well in the next few years compared to its historical returns. may be true for the next few years, but even then there’s a decent chance of making positive returns; albeit less than 10%/year. further, if he’s got a 20-30 year time horizon he’s probably made a bad decision over this longer time frame. 2) has he looked at house prices? in the SF bay area (i have no idea where this guy lives so will use sfba as an example), prices have been dropping for 5 straight years and will likely keep dropping for a bit more. 3) so it’s a possibility that he moved his money from a mediocre returning 401k to a poorly returning house. if his house price drops and stock/bond portfolio goes up he’ll regret his decision. he should have taken out maybe 50% or less from his 401k. but he really should not have touched it. 401k can be put in stocks, bonds, cash with deferred tax giving flexibility in positioning yourself in terms of risk/reward. also a 401k provides for easy liquidation in case of an emergency. like i said dumb move. he is making an emotional decision of “needing” to pay off his house at all costs. Congrats Carlos!!!!! That’s awesome, I love hearing theses type of stories. Simply put, you opened the door to a new lifestyle, a new happiness, and new opportunities that you have never before felt in your entire life. Way to go! Btw the mortgage interest tax deduction means very littly to me… It’s so minimal vs. The interest savings by prepaying your loan. ….best part…. You just made a risk free, 100% guaranteed return on your investment! You win. Thanks for sharing your story, I am genuinely excited for you. I hope to be here telling my story in 22 months and 3 weeks…. Carlos made an informed decision. Its not a decision I would make, but so what? He has to do what he feels is best for his particular situation. I too wonder about the 2 refinances in so short a time period. It seems that those extra fees were just wasted. In #8, John says it may have been a recast. A recast does not change your interest rate. To change your interest rate, you must have a new note. The only way to have a new note is to refinance. Congratulations to you Carlos, and I sincerely hope you continue to be happy with your decision. Johnathon @ #14, don’t you think you and your wife should be making financial decisions and setting goals together? Wow, you’re right, this is a great story! I don’t think Carlos is crazy, even though he is behind on retirement, he got rid of his mortgage which is the most important thing in my opinion. I see many people struggling to retire because they are not able to pay off their house. I think if you want to retire, first things first is to pay off any kind of debt you owe. I can understand the emotional side of paying off the mortgage with retirement funds — I’ve been very tempted to do same. However, I usually counter that emotion with the knowing that I CAN cash out my retirement to pay off the house if the need became strong enough. It lets me sleep better at night. Carlos: I think John’s point was that inflation will actually make the mortgage cheaper over time, as you’ll be paying it off with dollars that are worth less (though hopefully not worthless!). A mortgage is a good inflation hedge, as you get use of the money now, while it’s worth more, and pay it back later when it’s effectively cheaper. I love comment 13 from Glen He hit the nail on the head. The tax break is big selling point for may couples looking to buy a house, but the numbers never add up. Sounds like you should talk to your wife more Jonathan. I also paid off our home about 6 months ago — a 30 year loan paid off in less than 8 years! (My wife has no idea that our home is paid for.) Now I’m 32 and we are completely debt free — two cars, home, her student loans — all paid off. I’m currently saving to upsize our home in a few years, infusing as much cash as possible into our down payment or possibly paying cash for the new home. 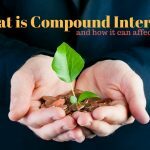 The first year you pay just under $10K in interest. This amount goes down as the mortgage ages. Now if you are married the standard deduction is $11,600, so unless you have another $1600 plus in itemized deductions it makes more sense to take the standard deduction. So when the real estate agent or loan officer tells you that you will get 25% of the interest back, that only applies if you currently itemize or have close to enough itemizable deductions. Tiny inflation now, but how do you think the federal government will have to handle our insane debt in the future? I grew up in Brazil with triple-digit inflation. Let me assure this: After you buy groceries for the month, pay utilities and gas up your car under inflated prices, there will be little to nothing left to service your mortgage. The day might easily (I hope not!) come when inflation and HUGE TAX HIKES will hit us thanks to our fiscally irresponsible government. (We keep electing professional politicians.) When that happens, let’s have this conversation again. Meanwhile, I received my first paycheck without having pay a mortgage today. You have to surgically remove the smile off my face as I write this. I took my mortgage payment today and put it into savings to invest in a business in the future. Without a mortgage, I see a brighter light at the end of the tunnel. My income to debt ration is now 0%, call me crazy. How does it feel to have an debt to income ration of 0%? It feels like I am retired but working to supplement my retirement. I need so much less to survive now that it amazes me. My investments/savings now can grow seriously. I am starting a 401(K) in my new job in January. Outside that, I mean to diversify by saving for a new business venture in a few years. Mathematically that was a pretty whack decision. Especially if Carlos just turned around and started savings again. What is he investing the money in, if he thinks the investment prospects are so bad going forward? I’m curious to know, what was Carlos’ 401(k) balance before cashing it out? “We donâ€™t go to regular restaurants, and we rarely go to movie theaters”. I understand getting your mortgage paid off early, I’ve done it myself, but at the risk of sounding anti-frugal…LIVE A LITTLE DUDE! Take your wife out to eat and a movie. If you died tomorrow, will your obituary say, He died mortgage free? And to pay a 10% penalty on the 401k withdrawal AND give up the mortgage interest deduction is insane! Okay, I’m going out for a drink, dinner and a movie and try to forget about this extreme mortgage payoff story. 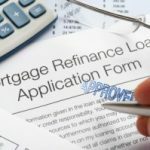 The first refinance may have been close enough to the original purchase that most of the closing costs were not necessary. In 2008 refinancing was less complicated than it is now. He may have recast the loan with his existing lender and in doing so reduced his costs. Carlos is banking on tiny inflation or possibly even deflation by reducing his savings and his debt to zero. If he had left the debt and the 401(k) intact, inflation would have increased the value of his investment and reduced the real cost of servicing his mortgage. I don’t understand why they refinanced only a few weeks into their mortgage from a 30-year to the 15-year instead of just getting a 15-year mortgage up front? It doesn’t sound like anything changed in their circumstances that they were suddenly able to afford the 15-year payment, and I’m assuming they had to pay the loan charges twice (once for the original loan and once for the refinance). Other than that, I also don’t understand the logic behind justifying cashing out the 401K and paying taxes and penalties on the basis that “heâ€™s not expecting anywhere near historic returns for the foreseeable future” and then turning around and saying that paying off his mortgage gives him the ability to aggressively focus on retirement. This isn’t really a decision you justify based on math, because the math doesn’t work out (and Carlos knows that). It’s something Carlos did to get himself out of debt, in an effort to be as absolutely debt-free as possible. It helps him sleep much better at night, so I say good for Carlos! It’s completely ridiculous to say “tax hit twice” because he misses out on the mortgage interest deduction. If he had to spend 12K/year in interest, and let’s assume he received 25% of that back because of the deduction…. laying out 6,000 in taxes is WAY BETTER than paying out 9,000 in interest…3,000 better to be exact. BTW, I have a mortgage and I’d love to pay it off early…I’m working on it but it’s still going to take 20 years at least. My wife and I are in the process of finding and buying a house. I am trying to determine what financing we should do and if we would want to try and pay it off early. With APR rates at about 4.5% for 30 year and 3.5% for 15 year I am thinking that we may do a 15 year and not try to pay it off early and bank the rest for other investments. Or maybe even do the same with a 30 year. So in my case i would try to do the opposite. Obviously their stance was that by paying off now they would outperform the market and the tax hit for early withdrawal which is hard to believe. Plus he likely took out that money in down market. What bothers me about paying loans early, especially at relatively low interest, is that inflation helps you for future payments. If one were to allocate 2k a month for loan payments/investing. A loan of 1300 a month must be paid. Will that 700 make more money if it is invested then what can be saved from reducing the principle, taking into account inflation? There are assumptions that must be built in (expected rate of return from investing). I don’t have time to do the math, but I’m sure there’s a break even point. This could have been a very stupid decision from a future net worth perspective, even not considering taking out the 401k. In general, I think there’s something wrong with the idea that people *need* to own a home, even if it puts them ridiculously in debt. Full disclosure: I have a mortgage. With this in mind, I think that there’s something honorable about doing what Carlos did, even at the expense of his 401(k). Plus, it’s my impression that he’s still relatively young; not having a house payment will definitely enable him to save more aggressively as he says. While his decision might not make sense from a tax standpoint, it certainly makes sense from a “I don’t want to be beholden to anyone” standpoint. Good for Carlos. Yeah it seems a little insane to liquidate all of that money just to get out from under a mortgage. They were obviously well within their means, as stated in the story, and they were already down to probably 5-10 years on their mortgage. I don’t know that I could have made that decision. Granted, he seems wise, and I am sure would do just fine, but I dont think I would have made that choice. From a tax perspective, he screwed himself twice. First, by taking the tax hit/penalty on the 401k, he hurt himself, then by paying of his mortgage quicky, he lost the mortgage interest deduction. I know that getting rid of the mortgage entirely is not so bad, but taking the tax hit twice is probably not worth it.